Buying beer stocks is generally considered a smart move because drinkers will guzzle in good times or bad. Lately, investors have become more discerning. Many are flocking to Anheuser-Busch InBev (BUD), the world's largest beer company with a market value of $150 billion, and shying away from other global brewers such as Carlsberg (CABGY). "Anheuser-Busch is head and shoulders above its competitors in terms of its brands and global positioning. It controls five of the world's top six brands," said Greg Bennett, a fund manager at Argonaut Capital, which owns a stake in the brewer. "Why would anyone want to buy something else?" The beer conglomerate, which owns Stella Artois and Budweiser, has a few things working in its favor right now, including a global footprint and the acquisition of Mexico's Corona-brewing Grupo Modelo. "We believe there are significant opportunities to expand profit margins in the domestic Mexican business," said equity analyst Pablo Zuanic from Liberum Capital, explaining that the Grupo Modelo acquisition was not being reflected in the share price. 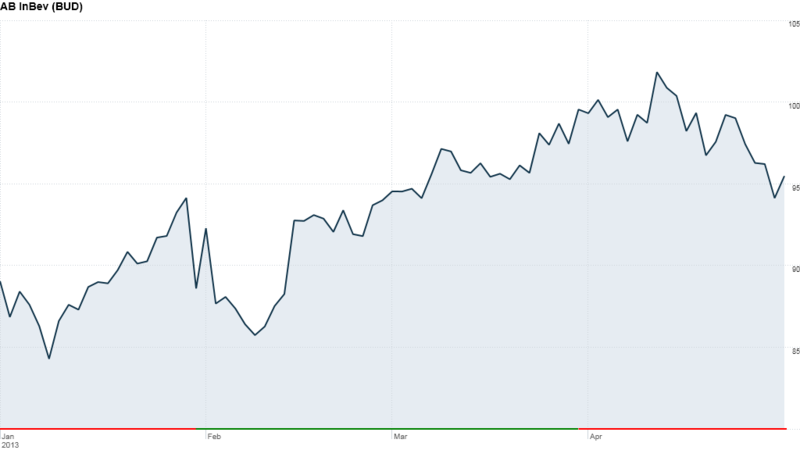 The brewer reported weaker-than-expected quarterly results Tuesday, in part because of poor weather in Brazil and the earlier timing of the Carnival festival, but Zuanic said he saw no reason to change his "buy" rating on the stock. Investors also expect AB InBev to take advantage of its unrivaled distribution network to push the popular Corona brand more widely around the world. Related: Justin Timberlake promotes Bud Light Platinum. 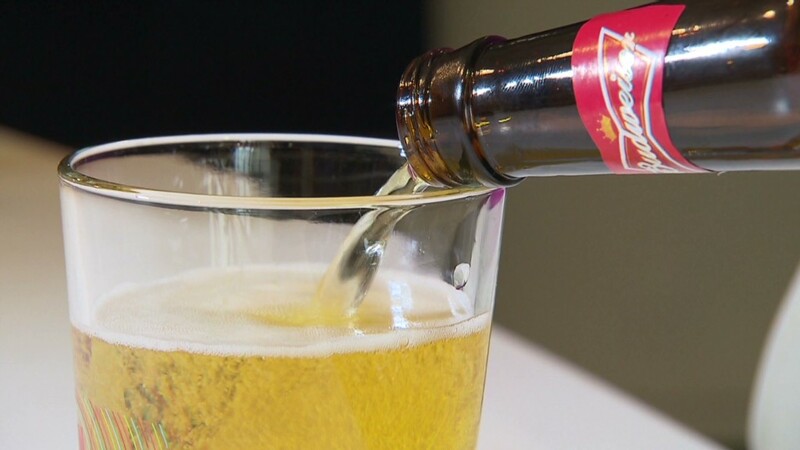 "Thanks to AB InBev's size, the company can outspend, outsell, and out market any other brewer," said Morningstar equity analyst Thomas Mullarkey in a recent research report. AB InBev's shares have gained roughly 8% so far this year. Liberum's Zuanic says the price still isn't looking frothy, especially compared to SABMiller (SBMRF). Its shares have shot up by more than 20% over the same period. Zuanic said AB InBev could begin to catch up as it increases its prices and revenues in the crucial American market. "As industry volumes, market share and pricing begin to improve in the US, that will help the valuation," he said. Meanwhile, competitors such as Carlsberg have been struggling, with its shares dropping by roughly 5% since the start of the year. The latest quarterly results from Dutch brewer Heineken (HEINY) show it is having a tough time in some key markets in Europe and Africa. Value investors might perk up at the idea of buying into Heineken or Carlsberg on the cheap, but Zuanic warns to stay away, given a lack of growth in operating profit in recent years.